Home News trending! HTC Vive Studios Launched for Development of VR-Based Games and Apps !!!!! 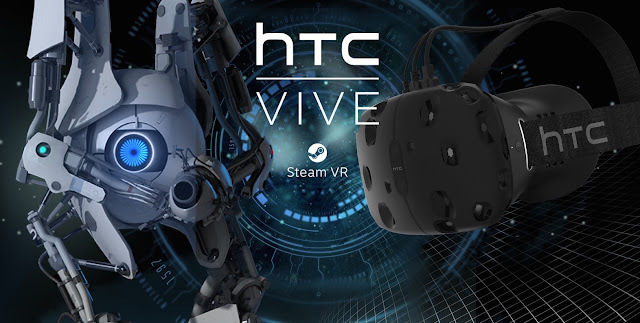 HTC Vive Studios Launched for Development of VR-Based Games and Apps !!!!! HTC's virtual reality headset Vive is one of the most sophisticated hardware products currently available in the category. Now, the company has shown further commitment towards virtual reality as it is said to have launched a new studio for the development of virtual reality content for its headset. Alongside its Vive Studio, HTC has also launched its first title from the division - Arcade Saga, as per a report by VentureBeat. Arcade Saga was developed internally by company's 2 Bears Studios and is a collection of three games that make use of Vive's room-scale VR. The strategy behind creating the in-house VR content with Vive Studio is to push the sales of the hardware product over time, Vive Studio division's head Joel Breton told VB. The Arcade Saga is already available for HTC Vive on Steam at $30 (roughly Rs. 2,000) and will be made available at company's VR app store Viveport in China. The company will be acting like a first-party publisher like Sony and Microsoft, who have their own studios to develop games for Playstation and Xbox gaming consoles. As per the report, the studio will not just create gaming content but also create content spread across categories like "education, cinematic, design, social, real-estate and sports as well as tools and applications that can revolutionise areas such as media, retail, health care, and location-based entertainment centres and arcades." It will be interesting to see the content that is developed by Vive Studios going forward and whether it will be able to push the sales of the hardware or not. HTC's virtual reality headset Vive is one of the most sophisticated hardware products currently available in the category. Now, the company has shown further commitment towards virtual reality as it is said to have launched a new studio for the development of virtual reality content for its headset. Alongside its Vive Studio, HTC has also launched its first title from the division - Arcade Saga, as per a report by VentureBeat. Arcade Saga was developed internally by company's 2 Bears Studios and is a collection of three games that make use of Vive's room-scale VR. The strategy behind creating the in-house VR content with Vive Studio is to push the sales of the hardware product over time, Vive Studio division's head Joel Breton told VB. The Arcade Saga is already available for HTC Vive on Steam at $30 (roughly Rs. 2,000) and will be made available at company's VR app store Viveport in China. The company will be acting like a first-party publisher like Sony and Microsoft, who have their own studios to develop games for Playstation and Xbox gaming consoles. As per the report, the studio will not just create gaming content but also create content spread across categories like "education, cinematic, design, social, real-estate and sports as well as tools and applications that can revolutionise areas such as media, retail, health care, and location-based entertainment centres and arcades." It will be interesting to see the content that is developed by Vive Studios going forward and whether it will be able to push the sales of the hardware or not.